Martin Luther King Jr., American minister: Martin Luther King Jr., was an American Baptist minister and activist who became the most visible spokesperson and leader in the civil rights movement from 1954 until his death in 1968. The national holiday we’ll observe on Monday is relatively new in the scheme of national holidays. The day is set aside to commemorate the Jan. 15 birthday of Martin Luther King, Jr., and was first observed on Jan. 20, 1986. King was assassinated on April 4, 1968, as he stood on the second-floor balcony of the Lorraine Motel in Memphis, Tennessee, where he had gone to support black sanitary public works employees. He was just 39 years old. There’s no telling what King might have accomplished had he not been tragically taken from the world more than half a century ago. While some progress has been made, racism and civil unrest continue to infect us today, much of it due to hate rooted in ignorance. King helped raise the consciousness of an America that was adrift in the division. He created an awareness that must continue to grow today because until we all understand African-American history, true peace and harmony will elude us. And we all have roles to play. 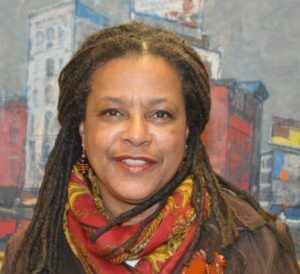 For us here in central New York, being aware of our own African-American history can be a step toward understanding who we are and the role the region played in the larger scheme of things. While black history certainly comes with its own rich stories, it remains part of a vibrant Mohawk Valley history. Integrating the two is critical; they rely on each other. Fitting the pieces of black history into the larger picture is something we must all strive to do. Many have contributed to that effort locally. Recently, Kirkland College alumna Cassandra Harris-Lockwood donated a collection of primarily 20th-century resources on African-American history in Utica and the Mohawk Valley to the Burke Library Special Collections at Hamilton College. It includes oral histories (written and audio files), photographs and research materials. Harris-Lockwood, president and CEO of For the Good, spent time putting together biographies of area black families whose stories might otherwise have been lost in history. Preserving such material is vital to understand who these people were and the contributions they made to our region. For instance, one highlight of the archive is the story of the Mitchell family, who Harris-Lockwood grew up with and said were crucial to the introduction of jazz music to the region. It’s vital that these stories be preserved. Harris-Lockwood also worked on the project with Utica College professors Jan DeAmicis and the late Paul Young. DeAmicis, a leading authority on local black history, focuses on the early experience of African-Americans in the Mohawk Valley, documenting the lives of slaves that once lived here. Young, meanwhile, interviewed local residents and created oral histories documenting black life in Utica throughout the 20th century. Their photographs and research materials record the expansion of the black community in Central New York. Such an archive is priceless. The -For the Good project dovetails nicely with past efforts to shine a light on local black history. This area was a hotbed in the abolition movement, and people like DeAmicis have been in the forefront when it comes to bringing that history into the public perspective. DeAmicis, retired UC sociology professor, is also co-chairman of the Oneida County Freedom Trail Commission. His efforts to tell the region’s black history began in 1991, when he and retired Utica Free Academy history teacher Elaine Cantor researched and organized an exhibit that told the story of southern migrant workers who moved north each growing season, harvesting crops up the East Coast from Belle Glade, Florida, to the Mohawk Valley. It paralleled a traveling Smithsonian Institution exhibit that documented the black migration northward as African-Americans moved from the plantations of the South to factories in the North. Many of the black families that came north seasonally eventually put down roots here, and grew the region’s black population. Today, families of those migrant workers are among our community leaders, and their stories are important threads in the community tapestry. More recently, DeAmicis completed research that has manifested itself in a walking tour of Utica’s Underground Railroad and abolitionist sites. In 2015, the county awarded the Oneida County Freedom Trail Commission a Partners in Prosperity grant for $18,000, designated for producing the walking tour. The first two signs on that tour are located at the site of the Utica Riot of 1835. Space for the signs – at the corner of Bleecker and Charlotte streets, across from the Utica bus station – was donated by Adirondack Bank. For the Good, Inc., and Utica College actually began the partnership to collect and preserve the area’s mostly undocumented African-American history back in 2011. It’s certainly a noble effort. The collection also includes the papers and clippings of the late Kate Oser, a Clinton resident who was deeply involved in social justice struggles in the Mohawk Valley from the 1960s through the 1990s. “It reflects one local woman’s connection to a lot of national movements. It gives us some wonderful primary source material that local entities were generating in regards to those issues,” said Goodwillie, who called the entire collection a wonderful asset that will likely be used by students and faculty to get an insight on what it meant to be black in the local area not too long ago. Goodwillie said the local resources, as well as other library materials on black history, are available for public use during the library’s regular hours – Monday through Friday, from 8:30 a.m. to 4:30 p.m. It’s best to contact him first at cgoodwil@hamilton.edu. Hopefully, the public will take the opportunity to see the collection so they might become more aware of the many contributions African Americans have made to our region. We set aside next month to call attention to black history, but in doing so we must remember that black history is OUR history. Sharing it is vital as we continue our quest to realize the dream of Dr. Martin Luther King, Jr.